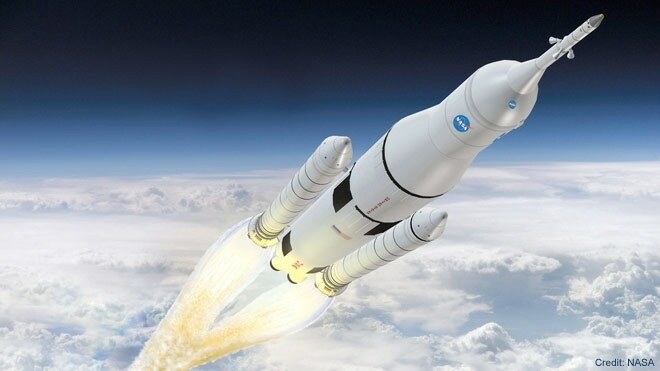 Boeing Approves KLH for SLS Program | KLH Industries Inc. In 2011, KLH-machined parts were aboard space shuttle STS-135, but this is KLH’s first opportunity to machine directly for the SLS program. Proposed missions for the SLS suggest an initial flight-test in 2017, where the SLS would take the Orion spacecraft on an unmanned mission around the moon. The first manned mission is targeted for 2021. Likely “near-Earth” destinations include asteroids, the Moon, and Mars, with a fully evolved SLS system by 2032.